I never saw Elfie but I knew he existed because we communicated by notes and leaving little tokens for each other. He would leave little non-edible pies baked in bottle caps but I don't remember what I would leave him. Probably something practical like a needle and thread. I grew up and Elfie faded away. Fast forward to today. I'm a forty-something-year-old singleton with no children, other than those who wear fur and walk on four legs. It's where the Universe thinks I belong at this point of my life. 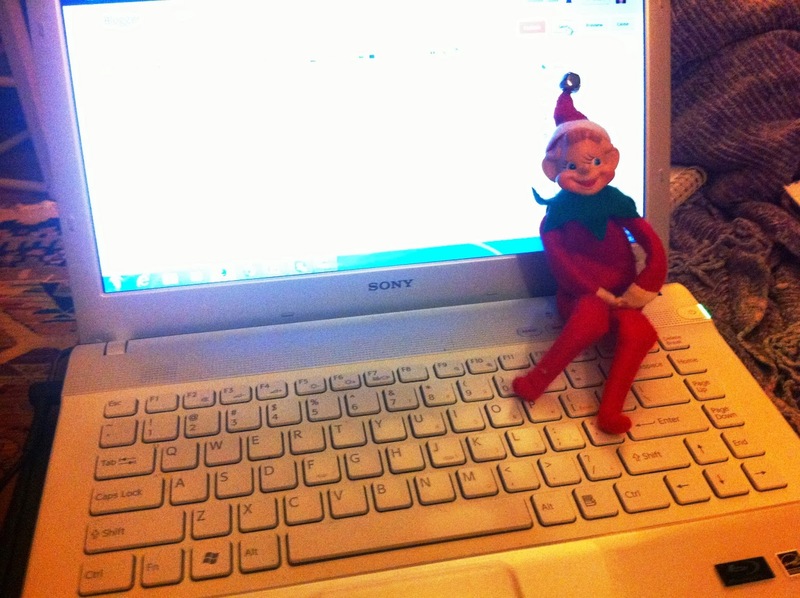 Elf Helped Me Write this Blog Post. I read a blog post called Why We Love Our Elf on the Shelf today. To summarize, there appear to be two factions of family bloggers out on the Internets. One who posts about the adventures of their Elf on the Shelf and their kids and others who criticize those who post about the Elf on the Shelf. What is the Elf on the Shelf? Some marketing person was smart to package the pixie-looking elf from the last century with a hard-covered book and sell it for about $30. The elf's mission is to watch over a household's children and report back to Santa. This is how Santa knows if you've been bad or good. I got thinking, why should all the Christmas magic be reserved for children and their parents? Be good! Santa has everyone on a list. I'm looking forward to the days leading up to Christmas and seeing what this elf has in store for me. Better yet, I'm looking forward to seeing if he's keeping an eye on me. I suppose I need to find out what his name is. Follow the elf adventures on Instagram and Twitter with #elfBelieve.